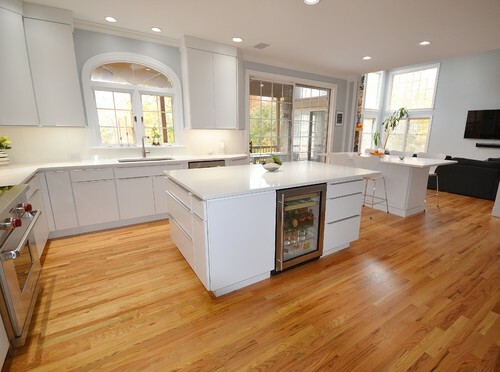 This kitchen didn’t have much natural lighting so we used Fabuwood cabinetry in the Galaxy Frost door to brighten up the space and contrast with the new darker hardwood floors. 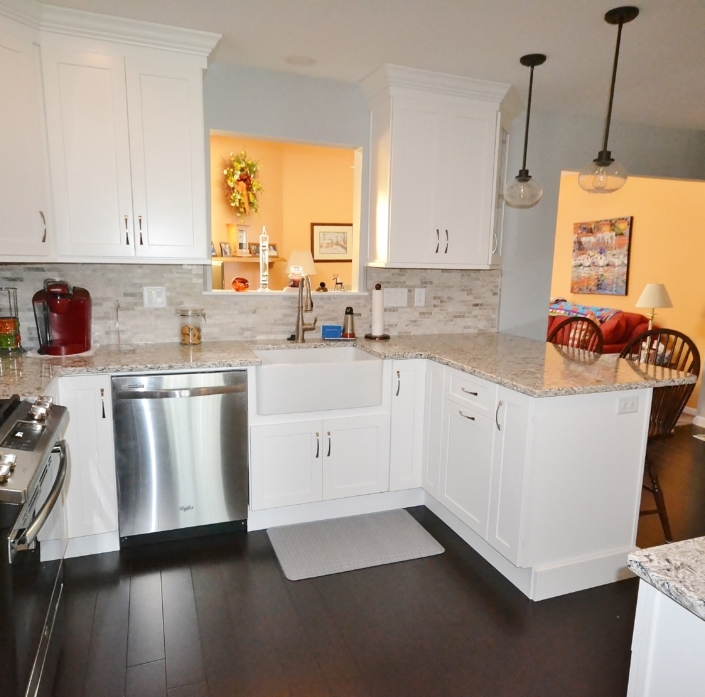 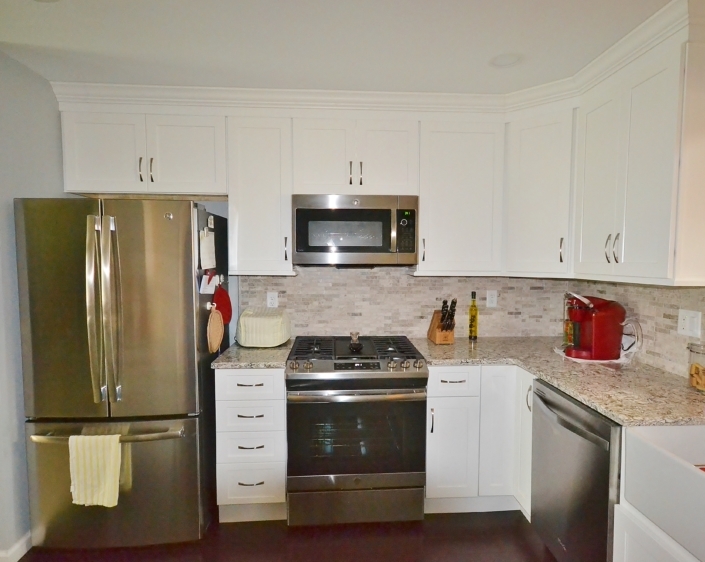 The new Irish Cream Quartz countertops play nicely with the Tundra Gray mosaic tile backsplash. 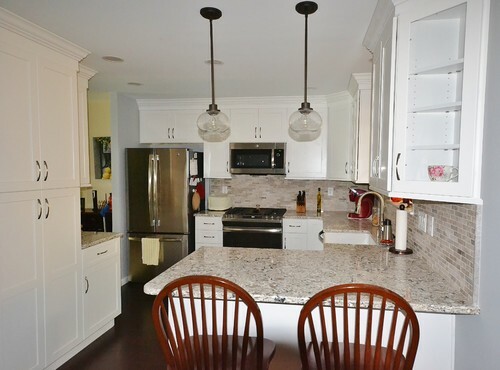 All new LED recessed ceiling lights were installed as well as new pendant lights over the peninsula. 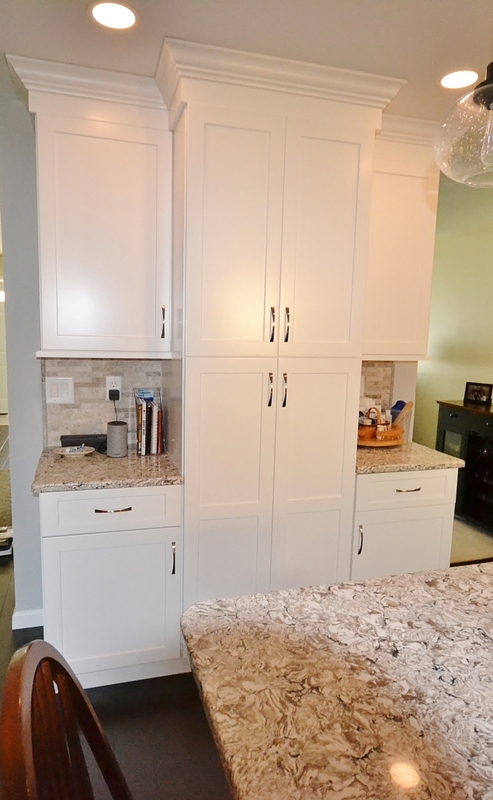 A new pantry area was designed with countertop areas to the left and right adding much needed storage.